Although it hit its stride in the 80s, the humble arch has since been brushed aside, (or demolished rather) from the homes of the 2000s. Young renovators purchasing old homes littered with archways and proceed to eradicate them from the space almost immediately in an effort to modernise their new home. Although the romance of the arch had been forgotten, it is making a come back. Ethereal archways are slowly being introduced back into your interiors, sometimes in places you least expect. When fused with modern elements, the humble arch is at its best. Reminiscent of Mediterranean style and coastal origins, integrating archways into your home is not only inspired but a fresh take on a classic style that has since lost its allure to the untrained eye. We’ll start with the most predictable hot spots but archways have become increasingly popular as door or entry ways between rooms. 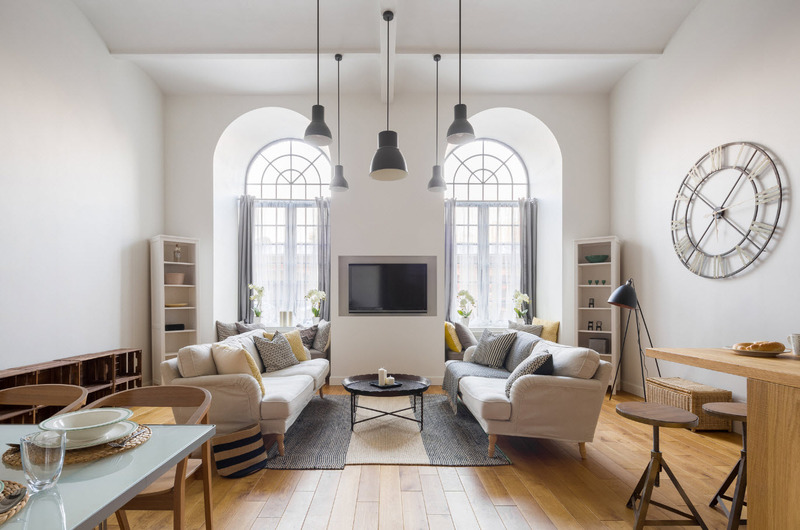 Rather than demolishing the arch entirely, narrow arches are being worked into a wider version to allow for an open plan feel while maintaining the soft shape and character of the archway. Arches are also being introduced into pantries and walk in robes amplifying the charm of the space as well as encouraging a free flowing environment. When choosing how to best add this shape into your home, it is critical to consider your space and the other elements within it. If you’re considering a permanent arch entryway take a look around first. You might have a dated, vintage cornice that you’re not particularly fond of, in which case, remove one aged element in your room to complement the arch you want to hero. By modernising your cornice you create the perfect base to allow the archway to elevate your home with it’s minimal accompaniments. If you’re not interested in creating a permanent fixture that you’re not completely sold on, (just yet) then perhaps you should consider other ways to enlarge your space, introduce light and reimagine the archway - enter the mirror. Whether you opt for a full length, 2 meter wide masterpiece (if only I had the wall space!) or for a low-line arch mirror to sit on top of your dresser, integrating this soft, romantic shape into your interiors styling perfect complements your modern finishes. You can begin to bring this in small doses through pillows (an easy fix) or even art and sculpture to see how it may look and feel within your home. On this occasion don’t run in with your sledgehammer just yet. Move in, live a little and work through what feels right in your home. Don’t write it off just yet - give your arch a chance to shine.